In today’s information age eBooks have become wildly popular, especially on Amazon. 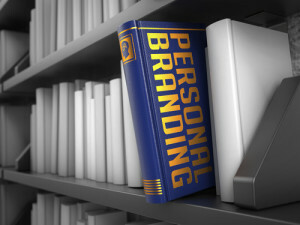 With fierce competition among thousands of publishers it can be a challenge for the book you have written for your personal brand to stand out. Hiring a professional consultant can help bring your work to the forefront and navigate you through the process. The digital publishing market is important to understand when establishing credibility. There are a few things to consider when looking to outsource your design, marketing, editing, ect. Instead of taking unnecessary time to research and find the right results a consultant can speed up this process more efficiently. One of the first things to check is how credible a company or individual is through references and previous clients. Here are several more steps you can take in order to find the best book shepherd for your next project. ● Join a network of other publishing professionals – Your brand might find references and resources by participating in book groups and other professional communities on places like LinkedIn, Google Plus, and Facebook. Not only can you ask questions there, but also see who is actually doing the work for authors. ● Create a realistic action plan – Before reaching out to a book consultant write down the goals for your publication. Will this be printed, digital format, or both? Decide the time frame at least a year ahead, and create an outline of the main points of your book. By being prepared you save time, and money for both you and the consultant. ● Be open to new ideas – Once you have a solid plan in place there might be changes along the way. It is more helpful and beneficial to take suggestions on things like the cover design, copy, headlines, and anything else that may enhance your publication. Once your brand has connected with the right publication consultant it’s important to treat this relationship as a go-to resource and team effort. You will find that the process will be a lot smoother and cost-effective as you learn to adapt to new ideas in order to make your book the best that it can be for the most money.